The Belfast Bicycle Network Plan is the most daring step to provide better conditions for people who opt to cycle in, out and within the city boundaries. We have identified some good proposals that must be always considered for this and subsequent road and cycling projects. NI Cycles supports the proposal in principle. However, there are many compromises and limitation that will impede Belfast to achieve the full potential towards increasing its cycling modal share. This is the project that can make or break to allow the next generations of children to get the benefits of cycling across multiple areas of our society. 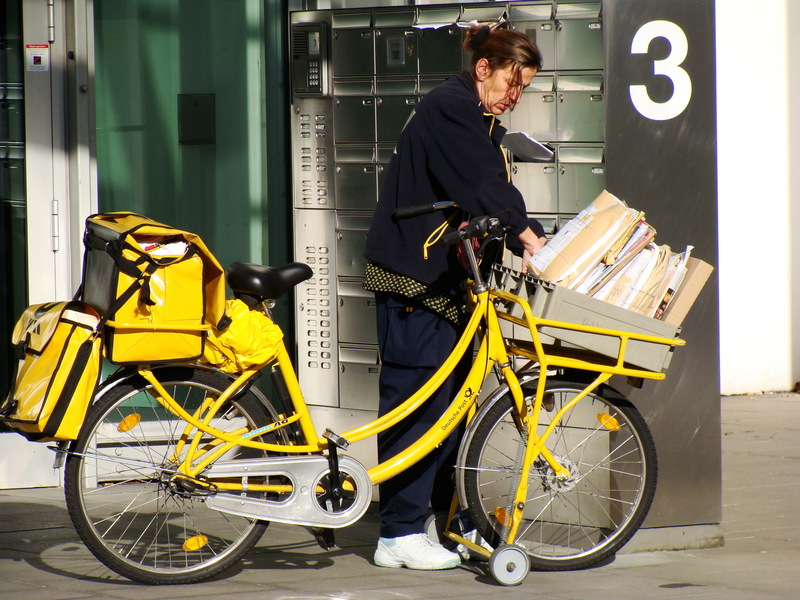 It is the time for cycling infrastructure to be done right, instead of just get something done. The first major problem of the plan is its timescale. The Belfast Cycling Strategy has a very low vision of getting only 12% of total journeys made within the city to be by bicycle by 2040. The current consultation sets a 10-year timeline to build the cycling infrastructure proposed. If this timeline is kept, plenty of problems for its full construction might arise, like slips in project’s estimated times. However, with a greater political will and better funding (£10 per head of population) for cycle infrastructure that timeline can be reduced to a maximum of 5 years. As a measure of comparison, the taxi in bus lanes trial has had a few days notice to run for 12 weeks. This is completely opposite to support sustainable transport in the city. However, with a greater political will and better funding (£10 per head of population) for cycle infrastructure that timeline can be reduced to a maximum of 5 years. This new timeline is more reasonable to increase cycling modal share more quickly and with it bring all the known benefits for society. This new timeline is not farfetched either. 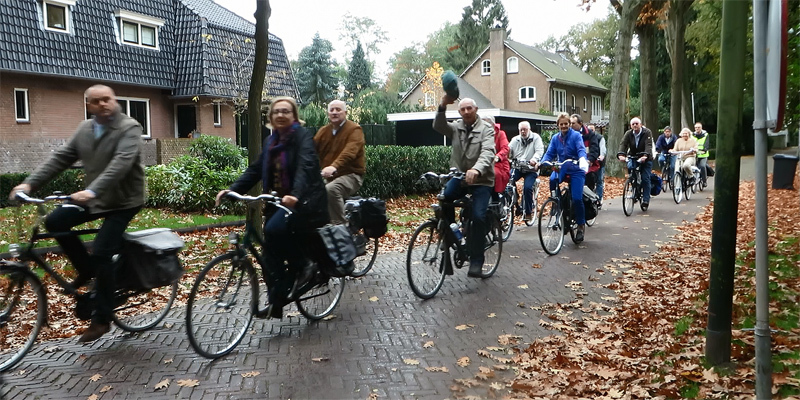 Rotterdam is planning to increase the cycling modal share from 20% to 30% within 2 years. Yet, a better example is Seville which has invested greatly in cycle infrastructure and brought their 0% modal share to 9% within 4 years. This is also possible in Belfast. The proposed cycle network avoid arterial roads. The decision is odd and it contradicts one principle, of the consultation, to build cycle infrastructure: directness. Building safe cycle infrastructure on arterial roads of Belfast will enable anyone to cycle safely and directly to most of their destinations. The most common infrastructure in the arterial roads for people cycling is the bus lane. However, after years of being in place, due to the dangers that they pose to people not so confident (including children and seniors), they didn’t allow for the cycle modal share to increase significantly. Pushing people who choose to cycle towards circuitous routes is another barrier towards cycling, by making it less attractive and convenient. As such, the solution is to stop doing what is not providing results and be brave to go for a different approach. The map needs to be completely redone and protected cycle tracks need to be incorporated in the main arterial roads of the city. Then the cycle network will be more attractive for all people who opt to cycle. The current method for the cycle network is not very comprehensible. The lack of cycle infrastructure on arterial roads compromises directness, the suggestion of dangerous infrastructure as for cycling compromises safety, and more could be said in this regard. The incoherence can only stop when there is a determined set of objective principles and guides for building safe road infrastructure for all users (pedestrians, cyclists, cars, etc.). The Dutch have Sustainable Safety, already well explained by Bikefast. Another aspect of the proposal that could be improved is to stop thinking about routes and instead think about a grid. During the 1970s, the Dutch experimented with building high-quality cycle routes. However, they understood that because they weren’t adequately connected the cycling uptake was not substantial. The current map proposed has limitations in this regard and this will also prevent an even greater mass of cycling. Additionally, some routes rely on areas that are not open 24/7. Though the routes can be nice and attractive (e.g. Ormeau Park), they are not available at all times for bicycle users and that can force them into less safe options in darker hours, reducing safety even more. Two examples of this reliance are in the picture above and they are the Gasworks (closes at 7 pm) and the Ormeau Park (closes at sunset). The obesity rates are soaring and this is also true for children. However, as shown by Bikefast, the map of the cycle network barely overlaps with schools in its vicinities. This is a wasted opportunity to get children with habits of travel that are healthy for them and good for society. Increasing the number of children cycling would also be a significant bump in cycling’s modal share. While it is important to understand the requirements of every cycle user, one user need shall not mandate how the cycle infrastructure is built. 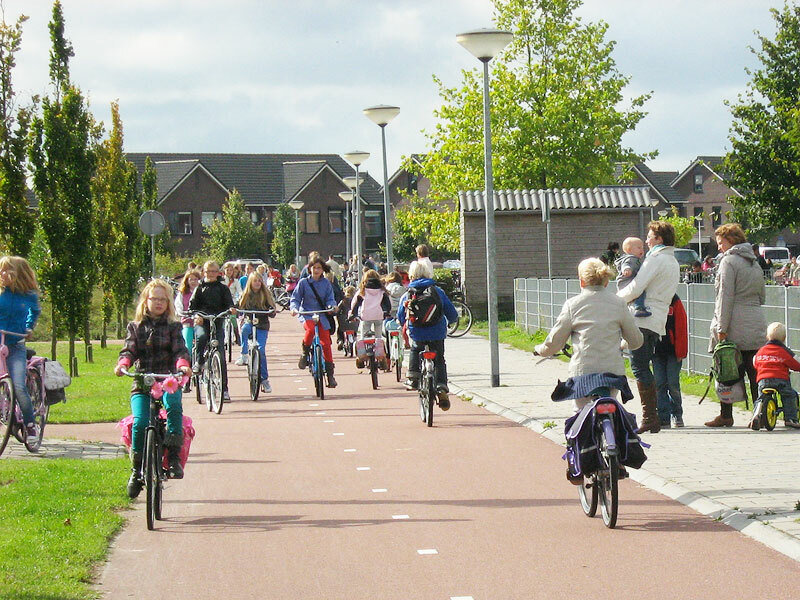 The cycle infrastructure must be built to suit all users needs, from the urban cyclist to the children on their way to school and also the elderly that cycle as a social activity. 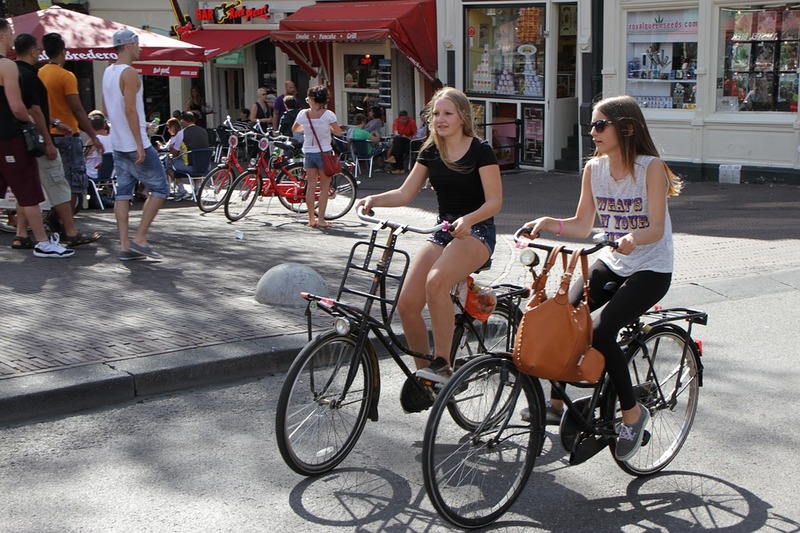 This is achievable, as shown in the Netherlands (and other countries). Additionally, the cycle infrastructure must have the required space to cope with different types of bicycles, from cargo bikes to hand-pedal bicycles, among others. The cycle infrastructure mentioned in the consultation document range from ideal protected cycle path to other not so safe provisions. Below is an analysis of how each provision fares against each of the 6 principles for building cycle infrastructure. Note that in certain scenarios context can also mean different results for each provision/principle. Yet some of the infrastructures mentioned are not adequate for mass cycling and are simply compromises made previously and should be scraped as cycling infrastructure. A cycle track is a protected way that gives cyclists separate space from other modes of transport. It fares very well with directness, safety, comfort and attractiveness. It can also be excellent on coherence if it allows users to cycle to anywhere and the adjacent infrastructure is of similar quality. It can also be very good in terms of adaptability if the width of the cycle track is capable of handling at least expected increase in the number of people cycling. A mandatory cycle lane is a painted lane on the road with a continuous white line, which makes it prohibited for other vehicles to cross it. A mandatory cycle lane is currently used in places where there is a direct route (the dangerous A2 between M3 and Tyllisburn roundabout). As such, it respects the directness, but fails most of the other principles, because painted lanes do not protect people from motor vehicles. As such, it loses its ability to be attractive and to adapt to people’s needs. An advisory cycle lane is a painted lane on the road with a non-continuous white line, which permits other vehicles to cross it. An advisory cycle lane is even worse than the mandatory cycle lane as it allows cars to cross and park on it. This makes it twisty, as people cycling need to go around parked cars. A contraflow cycle line is a lane that goes against the direction of the road and that only allows people cycling to use it. The contraflow cycle lane is very used in the Netherlands, though there is no indication on the road itself, besides a sign at each entrance of road. They allow cyclists to use bi-directional flows on roads that have one direction for motor vehicles, making these roads direct and attractive for cycling. There are safety concerns on it, and not everyone would be comfortable to cycle on it, but it is mostly on roads with a low-speed limit. A shared use path is a track that allows both cyclists and pedestrians to use it, without separation, effectively mixing two different road users with different needs. A shared use path fails at almost all principles because it compromises them to mix walking and cycling – easy planning, the toll is then taken by the path users, especially when their numbers start to increase, as seen in the Comber Greenway and Hazelbank Park. A bus lane is a lane on the road that has restricted usage for buses, cyclists and motorcyclists during their active hours. Bus lanes were a safe haven for brave cyclists before the introduction of a 12-week trial that allows taxis in a certain number of bus lanes. However, sharing a road lane with a vehicle that weighs over 10 tonnes is not for everyone, otherwise, Belfast’s streets would have much more people cycling. So, it fares pretty bad in safety, comfort, attractiveness and adaptability, even if it can be a direct route. A shared street is a concept that defines an area as a place where all road users can mix in – pedestrians, cycles and motor vehicles. Shared space should be avoided from a road safety position. They create confusion and people feel intimidated by it and it has already led to many vulnerable users injuries and even deaths. It makes it even less appealing for vulnerable users as it reduces their subjective safety. A quiet route is a residential road that has a reduced number of motor vehicles in it (only the ones that need access there). It fares very well with safety, comfort, attractiveness and adaptability. It can also be excellent on coherence if it allows users to cycle to anywhere and the adjacent infrastructure is of similar or better quality. it can also be excellent for directness, as many residential streets might be a good place to reach somewhere more conveniently, especially if it is not a through route for motor vehicles. In the end, it’s filtered permeability is good for cycling but also for local residents, as fewer motor vehicles allow more children to play in the street safely. A traffic calming route is similar to quiet route, but with traffic calming measures. It can fare well with safety and attractiveness (though in a lower scale than the quiet route). It is, however, not decent for directness, comfort (e.g. using speed bumps) and adaptability. This is because traffic calming measures are a sign that the residential road still has too much more traffic in it that lead to the reduce speed measures. This reduces the likelihood for the road to reach any good level on the principles for building cycling infrastructure. The latest cycle infrastructure in Belfast used black asphalt for most of its length, only using a layer of paint at intersection points. The paint layer is a weak link in the quality and it degrades quicker as well as providing rougher patches on the cycle flow. Fortunately, there is already other options, namely coloured asphalt. Though this is likely more expensive than regular asphalt (both in raw material and labour costs), it provides high quality, long-lasting smooth surface that shows a clearly visual space for cycling. The last objection is that the proposal is a letter of intent without going far enough to set standards and examples that can be followed by future projects. It would also be a step to create legislation and guidance, supported by more than 2/3 of elected MLA’s in last year’s election. Should mean recommendation and that implies that is a design or benefit that would be nice to have, but not even required. Shall mean requirement, which implies that it needs to be looked at seriously before being justifiably discarded. Must signify obligation and that makes a measure mandatory and it needs to be provided for cycle infrastructure. Though the consultation documentation would not be legally binding by itself, a bigger commitment towards more requirements and obligations could make it easier to push for a plan of action on the creation of appropriate legislation to better protect people who choose to cycle. The Belfast Bicycle Network Plan is a step forward in achieving safer cycling infrastructure that has the potential to increase dramatically cycle modal share. However, the presented proposal has many shortcomings that will prevent Belfast from going over the low ambition 12% of the journeys to be made by bicycle. It is fundamental that the timescale is reviewed and that appropriate funding is allocated towards the construction of the cycle network for a more ambitious timescale. It is fundamental that the cycle network is reviewed to accommodate all the principles detailed in the consultation. It also needs to be in the vicinities of facilities, such as schools, hospitals, among others. 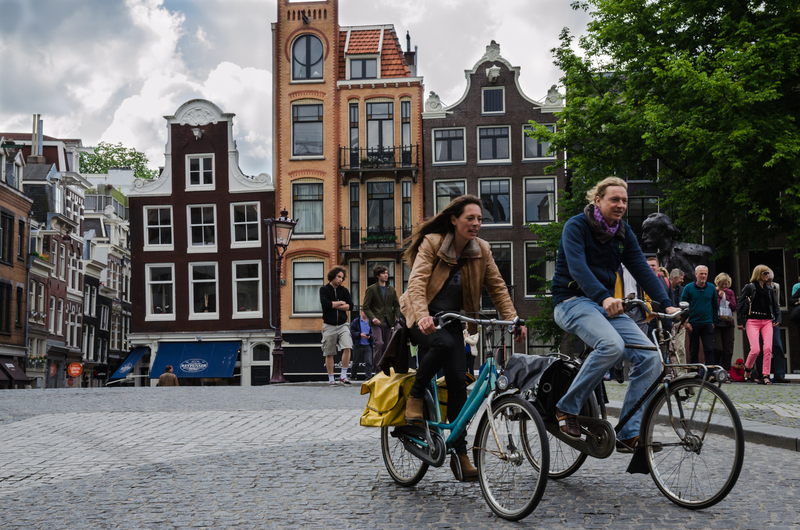 It is fundamental that the methodology adopted for road design and building is defined based on clear defined set of objective measures, similar to Sustainable Safety in the Netherlands. It is also fundamental that the outcome of the network is a grid that allows any bicycle user to go from and to anywhere using the cycle infrastructure. Achieving those measures are key to achieve more cycling modal share, which brings many social-economic benefits with it transforming the money spent into a very rewarding investment. The ball is now with the Cycling Unit and the Department for Infrastructure to revise the proposed consultation with the supported ideas and the objections and to bring a better plan to improve cycling’s conditions in the city. ← Would you Love Living Here?